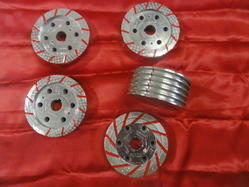 Manufacturer & supplier ofDiamond Brake Shoe Grinding Wheel. Our product range also comprises of Diamond Cone Laps and Diamond Slitting Saws, Knotch Cutters / Wear Indication cutters of different sizes and shapes can also be supplied as per our customer’s requirements. 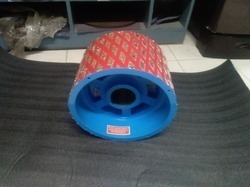 We are offering Diamond ID Grinding Drums to our client. 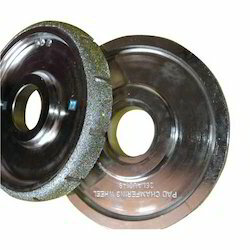 We are considered to be one of the leading manufacturers and suppliers of this highly commendable Brake Shoe Diamond Wheel. 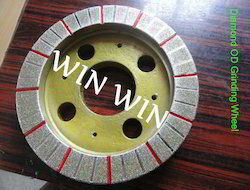 We are offering Brake Shoe Grinding Wheel to our client. 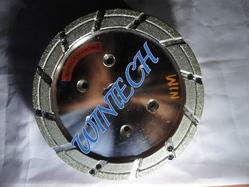 We are offering Diamond Brake Lining Chamfering Wheel to our client. 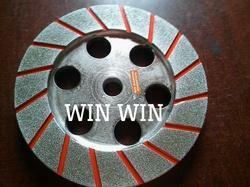 We are offering Diamond Brake Shoe Grinding Wheel to our client. 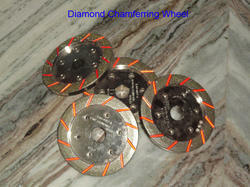 We are offering Electroplated Diamond Grooving Wheel to our client. We are considered to be one of the leading manufacturers and suppliers of this highly commendable Vitrified Diamond Chamferring Wheel.